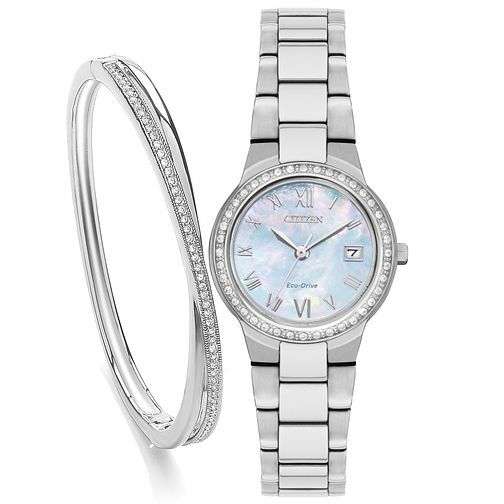 An elegant ladies silver tone bracelet watch & bangle set from Citizen Eco-Drive's Silhouette collection. The classically feminine bracelet watch is fashioned with a stone set embellished bezel and shimmering pearl dial with date function. The matching crystal set bracelet offers timeless elegance.